The Vlookup function is used by many Excel users and is very powerful. 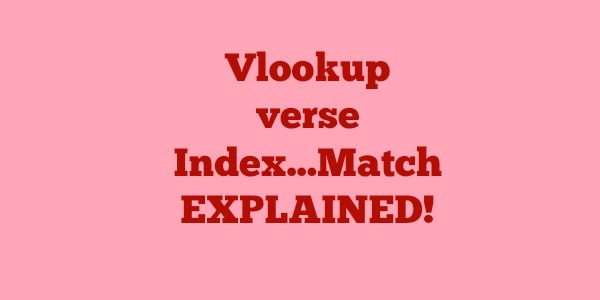 The Index…Match nested function is not used by many people but it is more powerful than the Vlookup. However, that extra power is not always needed, as it is more complex to understand. I made a video to help explain the differences. The main difference is that the Vlookup function needs to have the item you are looking for in the leftmost column. So it will only pull from left to right . However the Index Match let’s you pull any column you want. I explain it in better detail in my video.